How to train a Border collie with positive reinforcement. The Border collie is used regularly as a working dog within livestock farming. 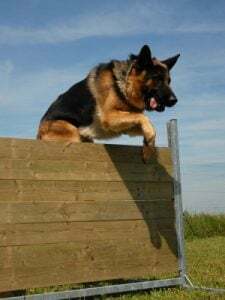 Trials and competitions are carried out where the dogs are tested on their working ability. Originally bred for sheep and cattle control, many still carry a herding instinct even within a pet home. Known for its intelligence and obedient nature the Border collie is a popular breed choice in dog training circles. 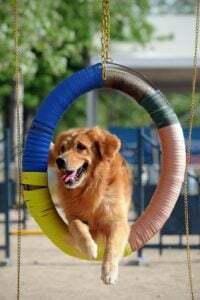 Agility, flyball and competitive obedience all fulfill the collies need to work and stay active in mind and body. Many Border Collies end up in rescue centers. Because they are attractive and popular, collies are often purchased as puppies to be family dogs. If the family group then has little idea of how to train a border collie, then its behavior can get out of control. Highly intelligent and with the energy levels of a working dog, the Border collie will not cope with minimal exercise. 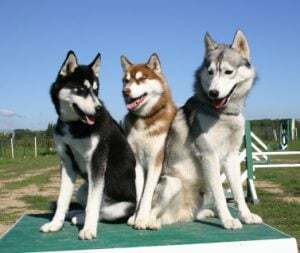 This breed of dog needs to be mentally stimulated and provided with a lot of opportunity for training and physical exercise. If trained correctly and in a kind positive manner the Border collie will thrive in its home environment. This breed of dog is biddable and handler focused. Anyone that is thinking of offering a home to a dog of this breed despite its age will need to research in detail how to train a border collie. A collie will learn extremely quickly. Positive reinforcement training is a must with this breed. How to train a Border collie with a clicker. 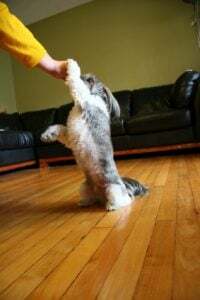 Clicker training is an easy and enjoyable activity with all dogs. Clicker training works by association of a sound with a reward which is usually food. First the dog must be trained to expect his reward when he hears the sound. When the association is established the sound is used to pinpoint specific desirable behaviors. Bear in mind with clicker training that a Border collie can be sound sensitive. If your dog is looking unhappy or worried when being tuned into the sound it may we worth wrapping the clicker in a towel or seeking a smaller less intense clicking device. How to train a border collie to live as a family pet. Often seen rounding up a group of dogs and people at the local park, the Border collie which is also a family pet needs plenty of exercise. Generally he will retrieve a tennis ball all day if the activity is offered. Your dog will often need no guidelines on bringing a ball back in retrieve games. If he has difficulty giving the toy back then swapping for a second ball is how to train a border collie and any other dog to drop his possession. A vocal breed, the collie will certainly demand attention if his needs are not met. Learning quickly, he will work out that barking will command your interest and use the sound to his advantage. If excessive barking is a problem with your dog then teach him to bark on command using a cue word and positive reinforcement. How to train a border collie to stop barking is straightforward. Teach him to bark on command then add a suitable cue word to reinforce quiet behavior then use the established cue word when needed to achieve the required silence. This technique can also be used during travel as many collies will bark when in a moving vehicle. Research and knowledge of how to train a border collie will be of little use if the dog does not receive regular and sufficient exercise. No dog can be expected to settle without first having used up his mental and physical energy. The collie has higher energy levels than many other breeds of dog. Instinctively and being a visual dog a collie will chase. Be aware that joggers, bicycles, cars and any other moving target may trigger this instinct at any point during your dog’s life. It may be wise to research how to train a Border collie not to chase with positive reinforcement if you are the proud owner of this breed. Your Border collie and other dogs. The collie is a reactive breed. They can easily develop a snappy manner with other dogs. Socialization is paramount for this breed as their fear can cause instant reaction to stimulus. The female of the breed can be particularly shy and easily intimidated. Care must be taken to ensure that your dog is not put into a situation where they feel they must react with a fear response. A well socialized Border collie will live and play happily with other animals. 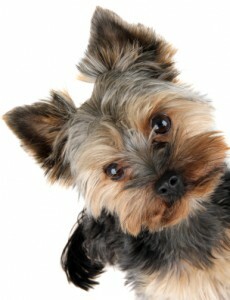 Has Clickertraining Revolutionized the Dog Training World? The training method uses a perceived signal in a consistent pattern so that an animal can repeat their behavior or learn a trick through positive reinforcement. Although this training method is popular with dogs today, it has been used with dolphins, birds, and even goldfish by substituting a whistle or a flashlight for a traditional clicker. 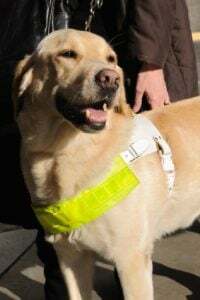 Even deaf dogs can use clickertraining with a vibrating collar. Today, one of the leaders in clickertraining is Karen Pryor, who has helped to introduce the training method to the dog training world. Pryor is a scientist in both behavioral psychology and marine biology and has practiced operant conditioning by working hands-on as a dolphin trainer in the 1960s. Pryor emphasizes that the importance of clickertraining for dogs is to provide a modern animal training method that does not use force or punishment. Clickertraining first became popularized to train marine mammals using a whistle. The methodology was not made known to the general public until the early 90s when Pryor hosted the first Don’t Shoot the Dog! seminar for clickertraining. At that time, there was not a single dog trainer using clickertraining. However, today, thanks to the innovations of Pryor, over 10,000 dog trainers now rely on clickertraining as a primary training tool. It can be learned and utilized by anyone. 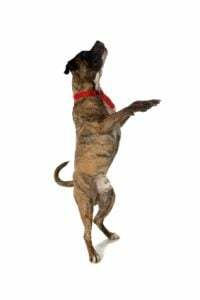 This means that expert dog trainers and everyday dog owners alike can use clickertraining to teach their dogs tricks and reinforce good behavior. 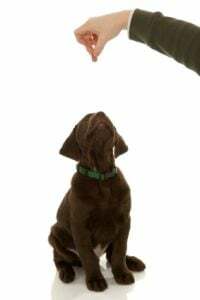 For the many people that believe that their dogs are not smart or capable enough to learn tricks, clickertraining makes a significant impact and changes even the most disobedient dogs’ behaviors dramatically. “Clickertraining – Wikipedia, the free encyclopedia.” Wikipedia, the free encyclopedia. N.p., n.d. Web. 28 Nov. 2011.